Here is a guitar lesson on an idea so awesome in its simplicity. Have you ever wondered why chords sound different as we move them up and down the strings sets? Now I don’t mean the pitch, more the quality of a chord (major/minor etc). Why if I have an E shape chord and move that down a string don’t I have an A chord? We have a problem with the tuning of the guitar, but with a couple of simple rules I will show you how to get around that and be memorising your chords and learning new chords in seconds. The first simple rule is, when moving a chord shape down towards the floor any note moving from string 3 on to string 2 must be raised one fret. So looking again at my E chord, if I move that shape down my first finger is on string 2 and that note must be raised by one fret, and then I have myself an A chord. If I continue down to try and play a D chord, I’m in the second fret on string 2 and that has to be raised a fret. It’s that simple! Going in the opposite direction, the opposite will be true. and we have our second rule So any note moving from string 2 onto string 3 must be LOWERED by one fret. This is how you can radically accelerate your learning of chord shapes on the fretboard. 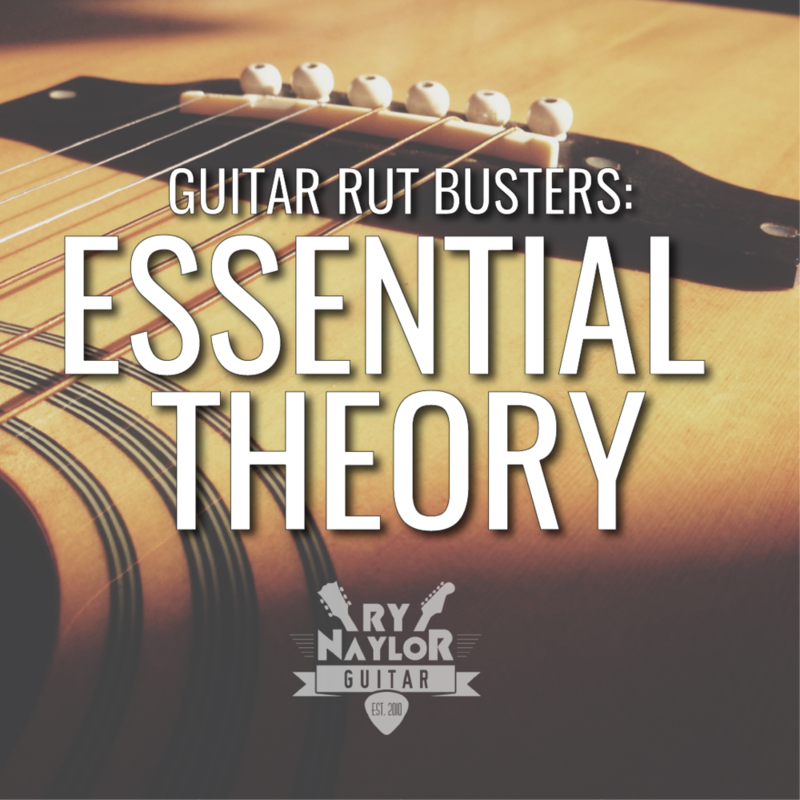 This rule will also apply to scales, arpeggios, triads and any other pattern you find yourself playing.